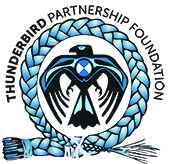 The National Native Addiction Partnership Foundation (NNAPF)﻿ exists to support the primary network in place to respond to First Nations substance use issues or the National Native Alcohol and Drug Abuse Program (NNADAP). NNADAP was one of the first programs developed in response to community needs. It evolved from the National Native Alcohol Abuse Program (a pilot project in 1974) to a Cabinet-approved program in 1982. This network of on-reserve addiction services has since evolved into 49 NNADAP alcohol and drug abuse treatment centres, more than 550 NNADAP community-based prevention programs, and since 1995, a network of National Youth Solvent Abuse Program (NYSAP) residential treatment centres which now includes 9 centres across Canada. In the North, NNADAP funding is transferred to the Governments of Northwest Territories and Nunavut under the 1988 Northwest Territories Health Transfer Agreement and through the creation of Nunavut in 1999. Yukon First Nations receive funding for the prevention and treatment components of NNADAP, some through contribution agreements and some through their authority as self-governing First Nations. Northern First Nations and Inuit either attend an alcohol and drug treatment centre operated by the respective territorial government or are transported to the closest appropriate treatment centre South of 60, as per Non-Insured Health Benefits Program (NIHB) policy. In addition to NNADAP/NYSAP, First Nations also access substance use and mental health-related services from other sectors throughout the health care system both on- and off-reserve, as well as various other systems and sectors, including social services, child welfare, justice, housing, education, and employment. NNAPF Buffalo Rider School Based Early Intervention project has trained more than forty participants who were selected from across Canada. National Native Addictions Drug and Addiction Program councillors, health and school resource/support staffs have taken the training.